USC managers want to help their people thrive and reach their individual potential; they also want to help their teams become effective, high-performing units. The first place to turn is TrojanLearn – your one-stop online resource to develop professional skills. TrojanLearn includes unlimited free access to online courses, live events, videos, social learning, and much more. As managers, you can even assign and manage the training of your own employees within the system! Help is also available for workplace concerns, including interpersonal relationships between your employees, or between you and your employees. Contact the Office of the Ombuds at either UPC (upcombuds@usc.edu) or HSC (hscombuds@usc.edu). 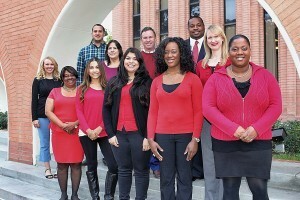 More on USC’s ombuds services is available on the Employee Gateway. Disorganized employees improve with structure. Help them get organized. Consider taking a hands-off approach with top performers – leave them alone to do their jobs. Some employee like public recognition – balloons, prizes, or USC’s employee shout out program. Self-effacing employees prefer quiet kudos – send them an email or private note. Create an environment in which your employees want to excel. Everyone wants to feel valued, and mutual respect is best fostered through praise, support and steady encouragement. Reading the sub-sections in this category (see navigation at left) will give you a wealth of additional tools to become a better manager of people and teams.